When it comes to transforming your garden nothing compares to a full beginning to end landscaping project. The only problem is that garden landscaping takes up so much time, money, and effort. Fortunately for you help is at hand with the arrival of City Junk & Gardening on the scene. Getting the garden you have always wanted needn’t be a headache anymore. With years of experience landscaping areas of all shapes and sizes we are the experts at transforming your area into the garden of your dreams where you can get away from it all. No matter what your plans are we cannot wait to see them and get started by deploying our full range of garden landscaping services. It doesn't matter if you need a simple grading, some beds dug out, or something really adventurous. We are ready and willing to make a start whenever it suits you. By working on every gardening and landscaping project as if it were our own we can transform any area in just a few hours. Our work is unobtrusive and always carried out to exacting deadlines. The moment we see your plans we can tell you exactly how long it will take and we will work as hard as anyone to make sure that we back up what we say. Your backyard is your little island of calm in amongst the hustle and bustle of London, we get that. That’s why we make sure that we only sign off on a job when we would be happy to have it as part of our own home. That way we can ensure that our impeccable standards never slip, and that our eye for detail is always matched by a solid work ethic that loves to get the job done quickly and efficiently. Many people are put off by the rigid approach so many companies take when it comes to outlining their services. As professionals for many years we know that customers need to see guide prices, but that sticking to a rigid structure actually harms the end result of the project by limiting what is possible. That’s why we always look forward to taking your call and hearing about what your vision is for the garden. With a clear picture of what you would like to achieve we can create a custom quotation especially for you which perfectly meets your needs. Our landscape solutions are the quick and easy way to transform your garden no matter what your budget is. Why not consider adding a gravel path down the side of the lawn for when you come to hang out the washing? Or install some fashionable raised planters that are walled off with sleepers or stonework? Once you get thinking, and you know that you have team you can rely on to make it happen, you’ll be amazed at the fun and stylish ideas that your imagination comes up with. By perfecting the art of home and garden landscaping over the years we have transformed the lives of countless families across the capital. Why settle for what you had the day you moved in? Why not get busy thinking about what it is you really want to see when you look out the window? 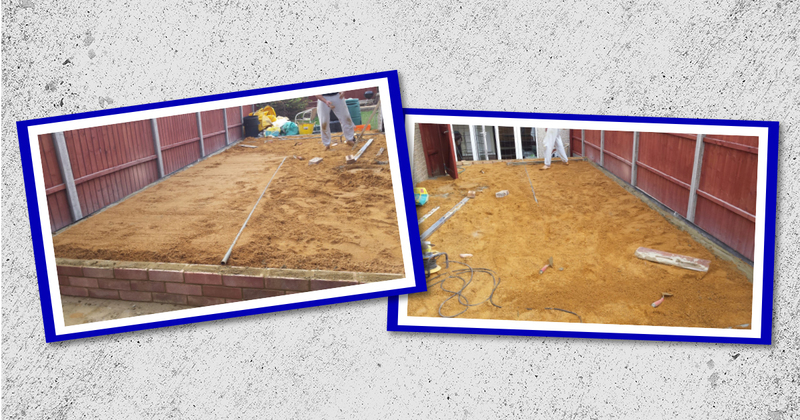 With a team working all the hours that it takes so that you can save your back, you’ll be enjoying your new outdoor space in no time at all. As enthusiasts for all things outdoors, we’re always available to assist with the initial design that goes into creating the perfect garden. If you would like to hear more about how we can help get your project off the ground by providing the professional touch of inspiration your plans need, take a look at our Garden Design page today.